Americas Best Value Inn Goldsboro offers the most value for your money when staying for business, pleasure, or just passing through. We offer clean spacious rooms, free coffee in lobby, and free Wi-Fi. All guest rooms include microwave, mini-fridge, 37-inch flat panel cable TV channels, and HBO. The hotel also features a seasonal outdoor pool open from April to October. Take advantage of our extremely comfortable beds and relax while saving money year-round with our Kids Stay Free Policy (11 and under in parent's room). For those guests that are in town on longer term corporate assignments or business trips we also offer special weekly and monthly rates, as well as direct billing options. For your convenience our hotel offers both smoking and non-smoking rooms. Sorry, no pets allowed. We are conveniently located near to Wayne Community College, Waynesboro State Park, and Cliffs of the Neuse State Park. We are located at Highway 70 and Highway 70 Bypass-Corporate Drive. Americas Best Value Inn Goldsboro is your best choice within the home of Seymour Johnson Air Force Base. 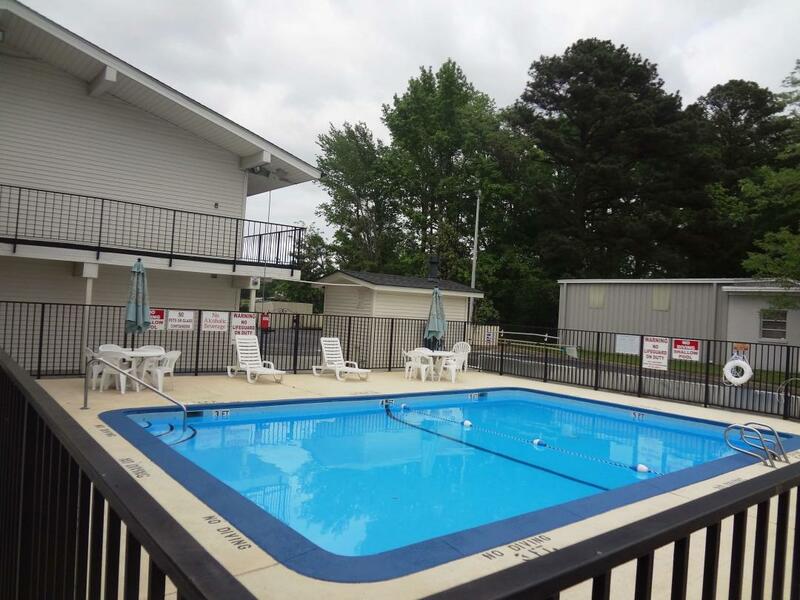 We offer ideal accommodations and location whether you are in town for sightseeing, boating, fishing, or simply passing through on your way to Raleigh or Fayetteville. At Americas Best Value Inn Goldsboro our goal is to provide our guests a great experience, not just a place to stay. 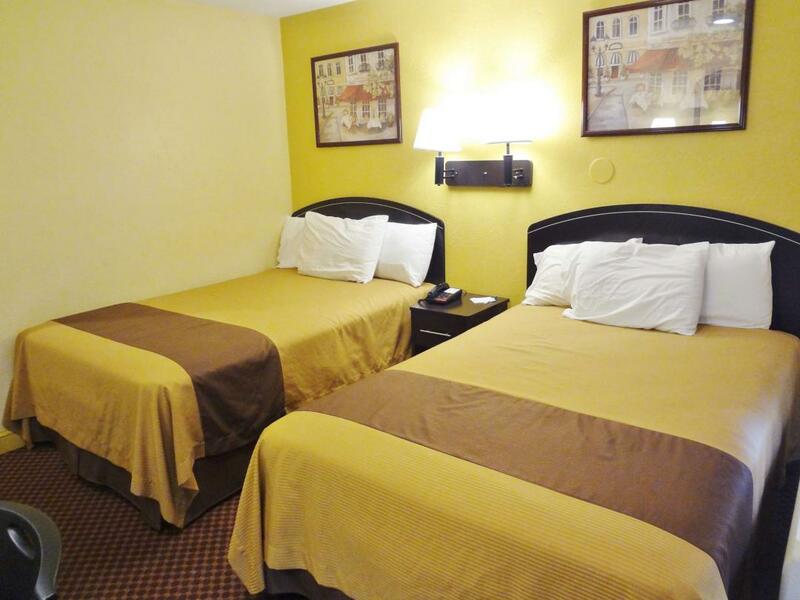 At Americas Best Value Inn Goldsboro, We've Got You Covered from the time you hit the road until your head hits the pillow. Royal Bangkok Thai Cuisine, 1.1 mi. Torero's Mexican Restaurant, 1.5 mi. Chili's Grill & Bar, 3.6 mi. Empire Fire Mongolian Grill, 3.9 mi. Texas Steakhouse & Saloon, 4 mi. Sumo Japanese Steak & Sushi, 4 mi. Chuck E. Cheese's, 4.5 mi. Check out these Goldsboro attractions during your stay. Goldsboro Premiere Theater, 1.2 mi. Lane Tree Golf Course, 2.4 mi. Goldsboro Municipal Golf Course, 3.2 mi. Round-A-Bout Skating Center, 3.9 mi. Eastgate Shopping Center, 4.3 mi. Putt-Putt Golf & Games, 4.3 mi. AMF Boulevard Lanes, 5 mi. Three Eagles Golf Course, 6.6 mi. Old Waynesborough Historic Village, 3.3 mi. Waynesborough State Park, 3.3 mi. Cliffs of the Neuse State Park, 15 mi. Five County Stadium, 40.6 mi.